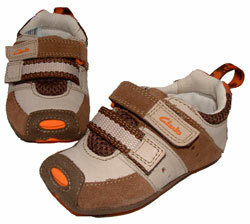 Clarks Crazy Tale – girl’s first shoes are a cute and comfortable shoe that every little girl will love. 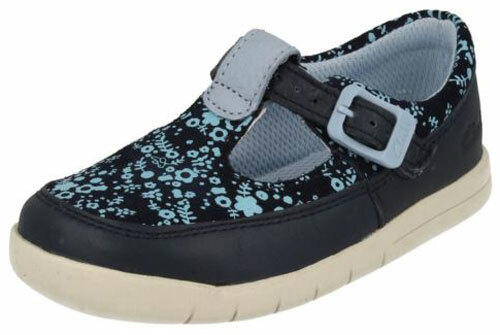 This navy leather and nubuck version has flowers detailing on the leather uppers, these are a great girly choice. 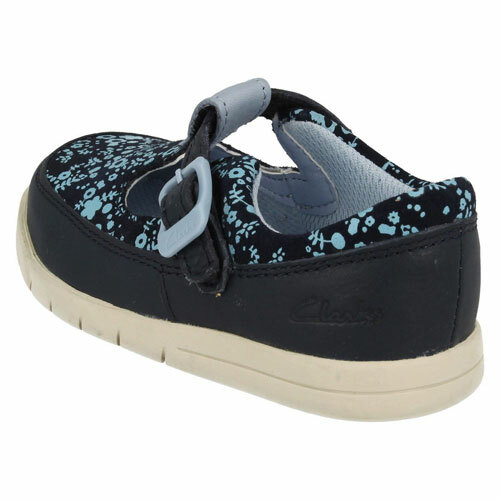 The buckle fastening on the T-Bar design allows a secure fit and the padded collars mean no rubbing on little feet.